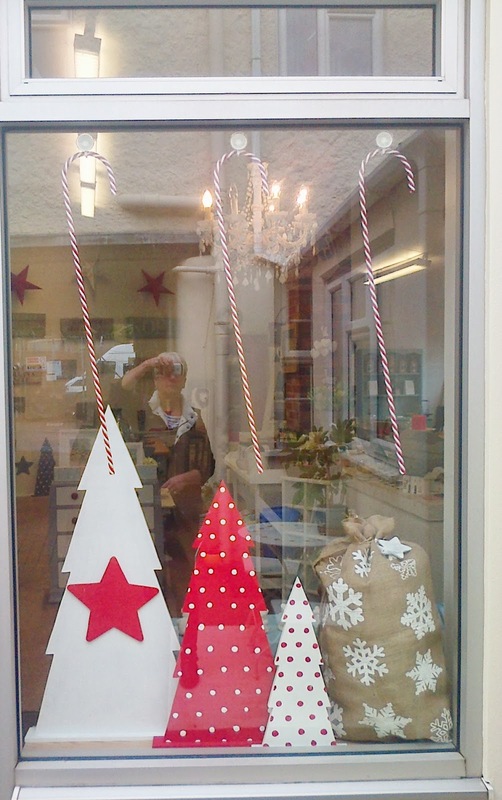 I always think you have to get Bonfire night out of the way before you can really start thinking about Christmas, but, well, I couldn’t wait and have spent since Saturday night trying to transform my shop into the Scandinavian image of Christmas I have in my head. I haven’t quiet succeeded in the perfect all white with accents of red and grey but I am pleased with what I have acheived . I pride myself on selling unique and affordable items from local independent crafters and artists. Its important to me to have ideas and products not supplied by other retailers. 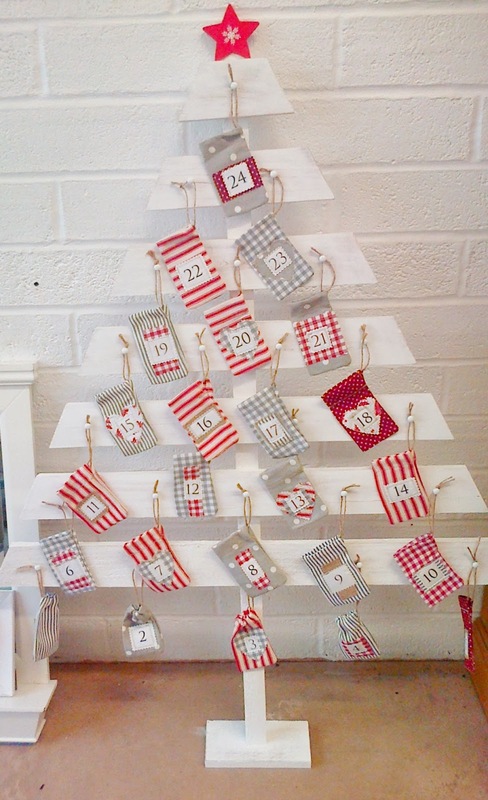 I have a wonderful selection of those, including the wooden advent calender made for me by my husband. It stands approx 4 ft high and is hand painted. I commissoned a talented local lady to make the numbered bags for me and think the end result it stunning. A favourite Christmas family piece for years to come. 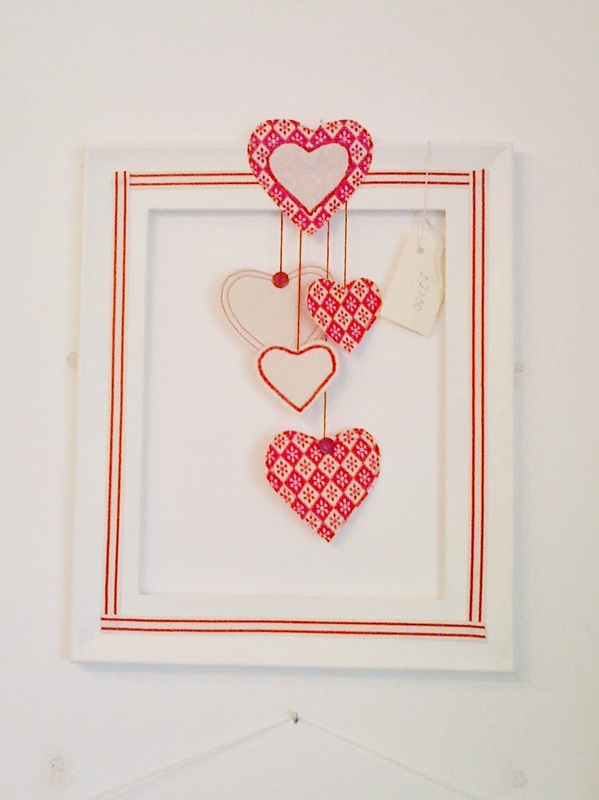 For Sale in the shop or online for £65. 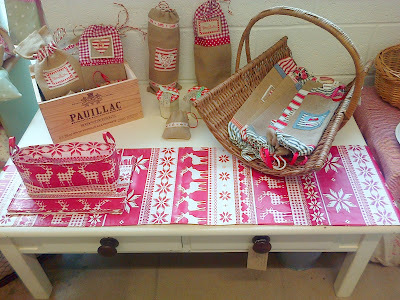 I really love everything about Scandanaivian style, the fresh, clean look of red and white is particularly apealing. Affordable, handmade table runners, placemats, bread holders, bottle bags and more. The front window. I love these large candy canes. Please ignore the reflection of the old woman in the window ! 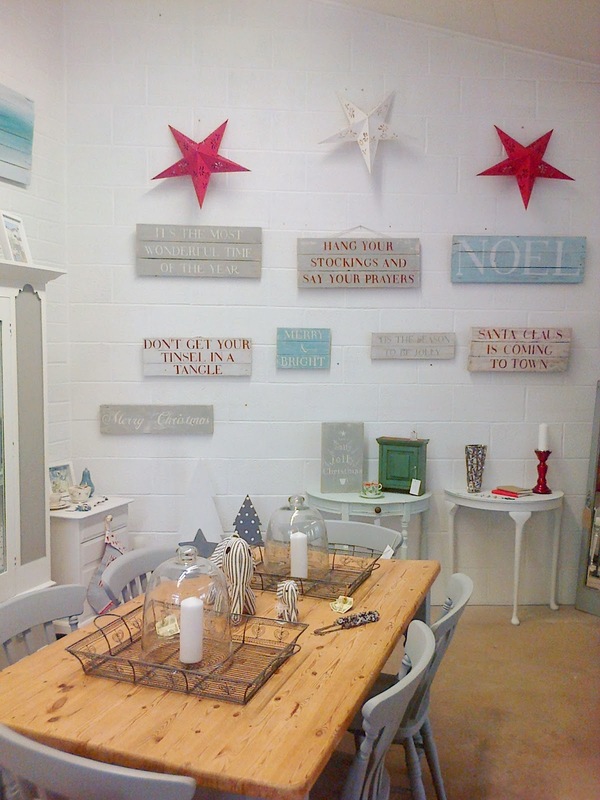 If you are in the area would love to see you, pop in for a browse and a chat. Karen, it all looks absolutely fantastic, you are so creative, well done. Would the tree hold Christmas cards !! !Speak soon, you clever girl. absolutely fantastic, you are so creative. Could you use the Tree for Christmas Cards.